How many choices do you think we actually make on an average during the day? Dozens? Hundreds? Or perhaps thousands? Survey indicates that the number is actually in the thousands. Some of them may turn out to be really good, while others may not. In fact now if we look back and retrospect, we might find ourselves wondering as to why we made those choices in the first place. Learning about the stock market can also help one to avoid such types of mistakes. While it goes without saying that we all will probably continue to make poor choices in life, but what we can do at least is getting a deeper understanding of the process behind some of these irrational choices. This can, if not completely avoid such mistakes; can definitely help us make better decisions in the future. Today Stock markets is one place where everyone is interested, but do all of them really make money? In fact as per a survey done, only 10% of the people really make money. So what about the rest, are they not educated? Informed? Or smart enough to invest? It was astonishing to find that most of them were if not less then also equally capable like those 10% people who could make profits. Then what went wrong? Yes, the answer to that is “bad choices”. Let us see and have a look at some of these mistakes which all of us have either made or may make in future?  “Koi KHABAR Hai Kya?”-Investing without doing enough research. People easily trust & blindly rely on the tips they hear from some of their relatives, friends, and colleagues and now a days from broking houses as well and start investing. This perhaps is one of the biggest mistakes that people generally do when they start investing in the stock market. Now, one can easily argue that what’s wrong in taking tips and suggestion. Our friends and the brokerage firms may have much more experience than we do and surely can help us get some good stocks. But the point that we are missing here is that “No one else really cares about our money more than we do”. Brokers earn when we trade & they really don’t care whether we make profits or losses, as long as they are getting their brokerage. Now, coming to friends & relatives, always remember no one likes to share about the bad investments they have made or losses they have suffered. They will always boost about the investments in which they have made some money and you would be a fool if you don’t get that. Hence take suggestions from everyone but before taking a call do your own analysis, after all it’s your hard earned money & not theirs. What you must have noticed is that people are more interested in stocks that are trading cheap or are lower priced as it takes lower investments and may give sharp returns in short span of time or to become multi-baggers. And who doesn’t love fast returns? But what most of us forget that cheap stocks get cheaper and can fade away our investments in equally faster time. Kwality, manpasand , jp associates , vakaragnee are some of the stocks that people started buying on every dip thinking they were getting them at good bargains, but failed to understand that its trading cheap for a wrong reason. On the other hands highly valued stocks having high P/E ratios such as HUL, Marico etc have outperformed the markets. Hence what can one do to avoid such mistakes? The answer to that is simple i.e evaluate the business wholly & understand its fundamentals. Also, always remember nothing comes without a price, so don’t just blindly buy stocks that are cheap as it may get cheaper and wipe off your investment before you even realise that you made a bad choice. It’s very difficult for all of us to accept losses. We always feel we are right, we can’t make wrong decisions & somehow always get a reason for postponing it. That’s where most of us go wrong. We keep on holding on to them thinking that one day it will bounce back & at least we would get our Initial investment back. But trust me, that day never comes or even if it comes, it comes at a high cost of inflation which ultimately makes it worthless. Many amateur investors follow a rule ‘Sell the winners and hand on to the loser stocks’. However, this is completely wrong approach. In this way not only are we limiting our profits but, are also holding on to losers that can further deplete our Portfolio. So, if you do not want to lose you hard earned money in the stock market, start using just the opposite approach i.e limit your lower level and maximize your upper lever. Copy-pasting is often respectably known as imitating, or cloning, or coat-tailing. Some people also call it ‘inspired action.’ Of course, it’s always good to get inspired by others. But the problem is when we just blindly copy/clone, what others have done/are doing. It’s human nature to act in this way, especially when we see someone who has had success in the past. We always have heard many people saying “Bhai yeh stock lele, isme abhi XYZ aadmi stake liya hai, pakka stock chalega “ and the interesting fact is many of us do actually buy them. But does it really work? In maximum cases it doesn’t. Ask yourself always this question, CAN I TRUST SOMEONE ELSE’S DECISIONS? Even if you think you can, stay for a moment because of his/her track record or trading history but then how can you estimate his time horizon? May be he/she is investing for say 20 years and is unaffected by the dips in short or medium term, but what about us? We entered say just for a year or so, and we ultimately have to exit by booking losses. So what can we do? Is cloning always a bad idea? –No it isn’t, but we have to understand the company’s fundamentals, its financial reports and figure out why is it in news so much. And after studying the company completely, if we are satisfied, then only invest. NEVER INVEST BLINDLY FOLLOWING THE CROWD.